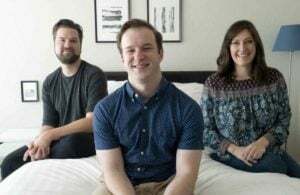 The Hanna Kay Premium Mattress Protector may be thin but it can keep the surface of your mattress free from damage caused by liquids and spills. How much will it cost you? Read on for the full review. It is always important to follow the care instruction on your mattress protector. If you fail to follow it correctly it could void your mattress protector warranty. 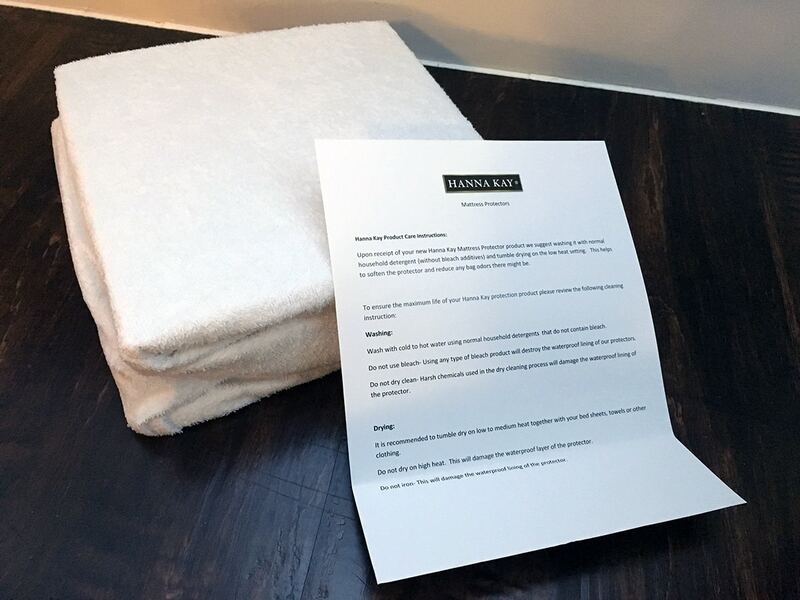 Care instructions are especially important when it comes to drying your protector. 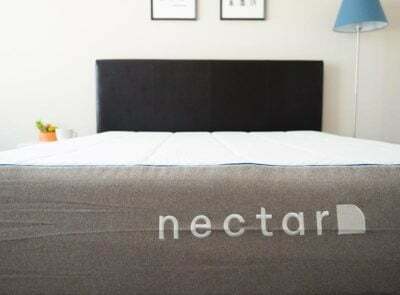 Most mattress protectors – especially ones that are waterproof – suggest you dry your protector on a low or medium tumble dry. 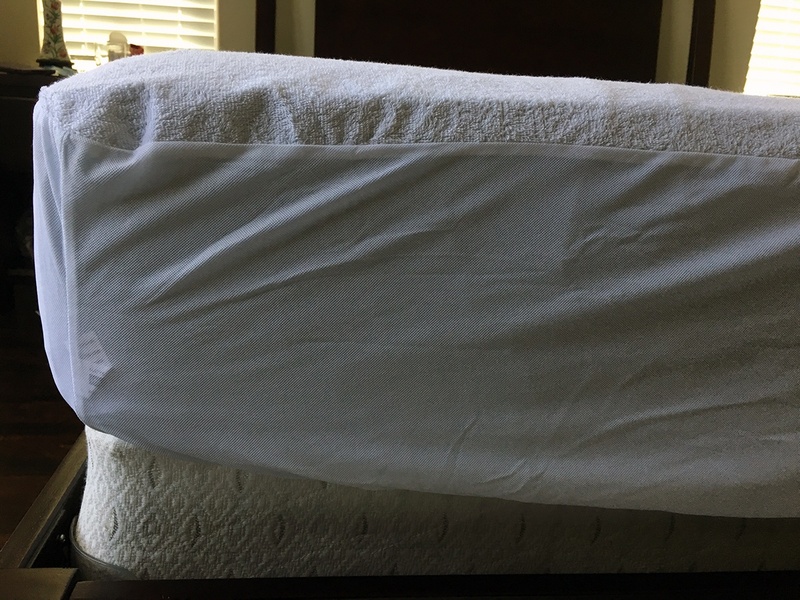 Drying protectors on too high of a heat can damage the waterproof membrane on mattress protectors. This could allow your protector to underperform and potentially allow water or fluid to get to your mattress and void your mattress warranty. The Hanna Kay Premium Mattress protector comes with a 10-year warranty. The details of the warranty are printed on the inside lining of the protector’s packaging. The Hanna Kay mattress protector is 100% waterproof on the surface. Waterproof properties on mattress protectors are definitely worth having. Often, water or liquid stains and damage will make your mattress warranty invalid. 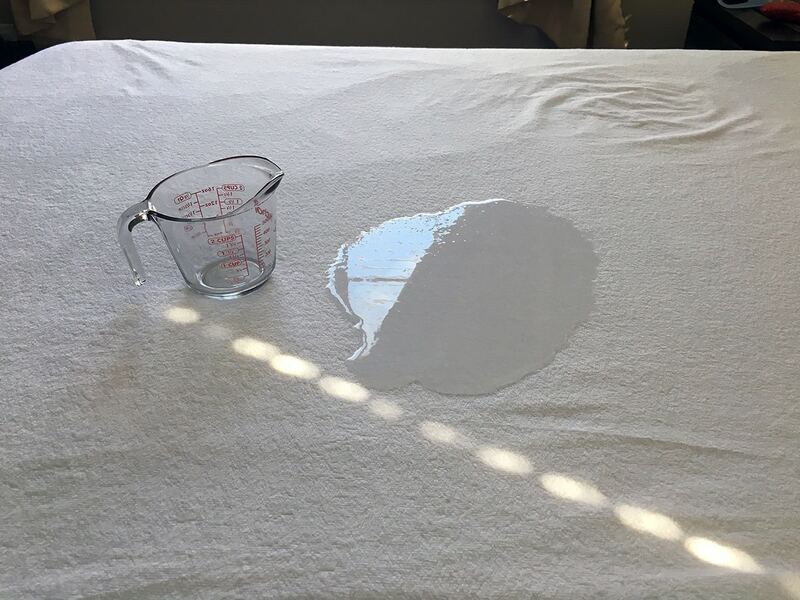 I poured 10 oz of water into the center of the Hanna Kay mattress protector. I waited two hours and lifted up the protector to feel underneath for any moisture or dampness. I felt no moisture, dampness or any leaks from the protector. It passed my waterproof test! 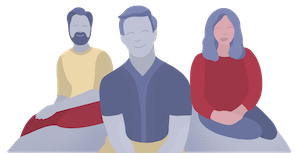 There has been a lot of attention around the toxicity of plastics, including PVC (also known as polyvinyl chloride or vinyl). Size and Noise: The protector comes in four sizes: Twin, Full, Queen, and King. It fit my 10-inch thick mattress but had a little extra room. There was no information about the depth restrictions for the protector but I think it could at least fit a 16-inch thick mattress or thicker. Because my mattress is 10-inches thick I had a little extra material. This generated some shifting and crinkling under my bed sheets. Breathability: Hanna Kay uses terry cloth and polyurethane to keep the protector waterproof and comfortable. They say it allows for breathability. I had no issue with feeling hot or cold at night but other customers did. I wanted to share one review. Leaks: While the protector passed my waterproof test and I had no issues with leaks, others did. 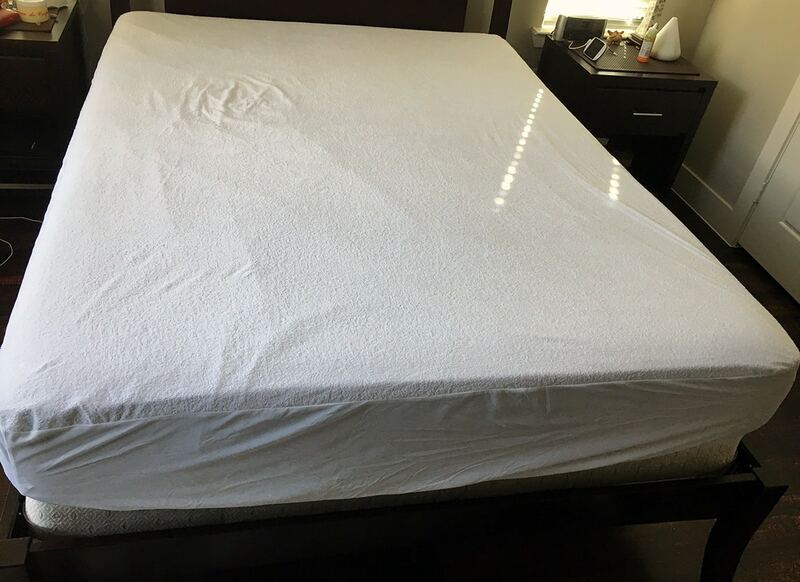 If you are considering this protector because you absolutely need something waterproof and have frequent spills or accidents, I would personally suggest doing your own waterproof test after washing and drying your mattress protector. 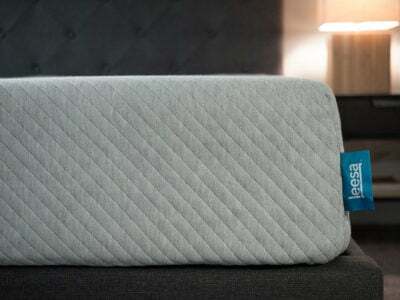 The Hanna Kay Premium Mattress Protector is a simple and straightforward waterproof mattress protector. It fits like a fitted sheet and is machine washable and dryer friendly. It is affordable but is also ultra thin and may not be the best fit for those who want ultimate waterproof or allergy protection. 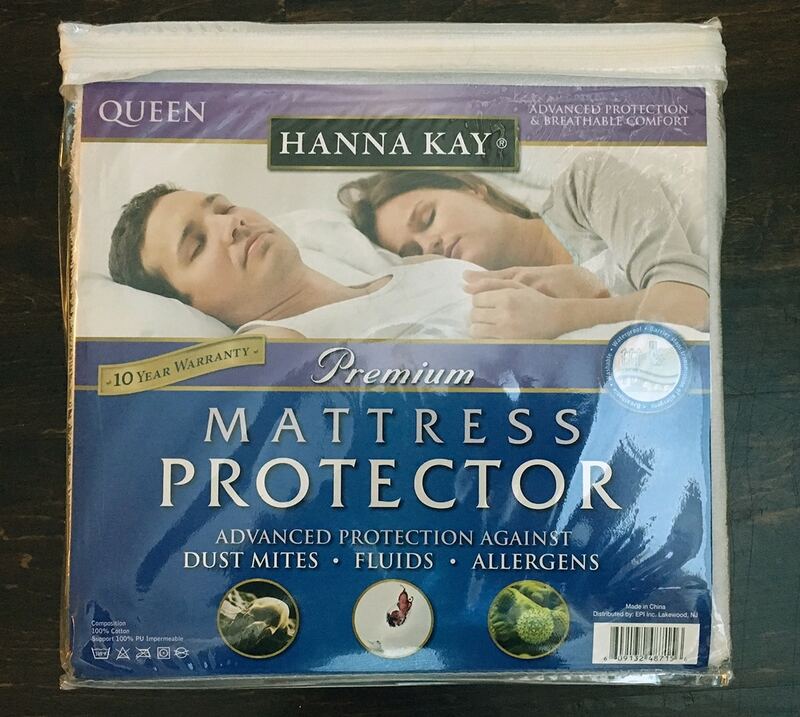 There’s no doubt that the Hanna Kay premium mattress protector is affordable. 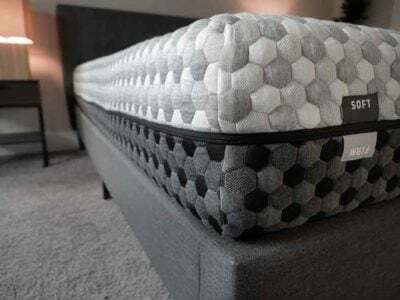 A Queen sized protector costs around $22. A Twin size costs under $20. 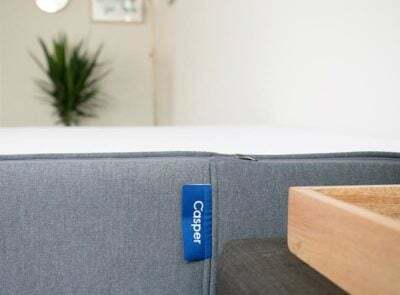 The price makes it an easy option for anyone who wants to cover the surface of their mattress and prevent general water damage and allergens. 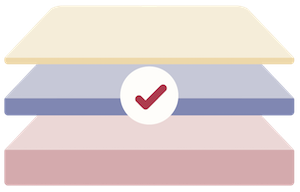 The protector is very thin and does not have a high-quality feel that other protectors do (like the Casper or Slumber Cloud Dry Line Protector). 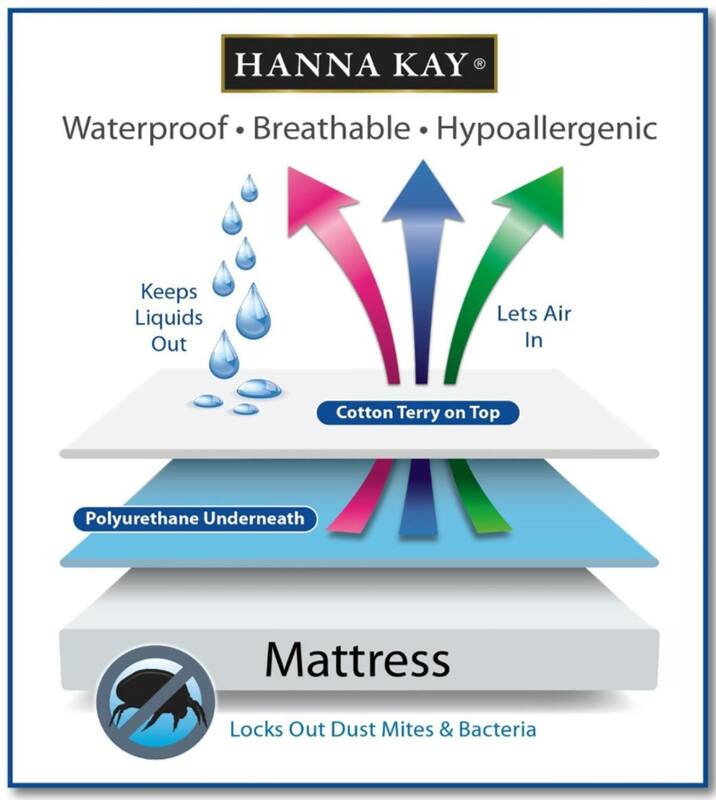 Bottom line, if you’re looking for a simple and affordable waterproof fitted mattress protector, the Hanna Kay protector could be the right fit for you.